According to the directions by the hostel, I could take a bus from the airport to the hostel for HK$40. 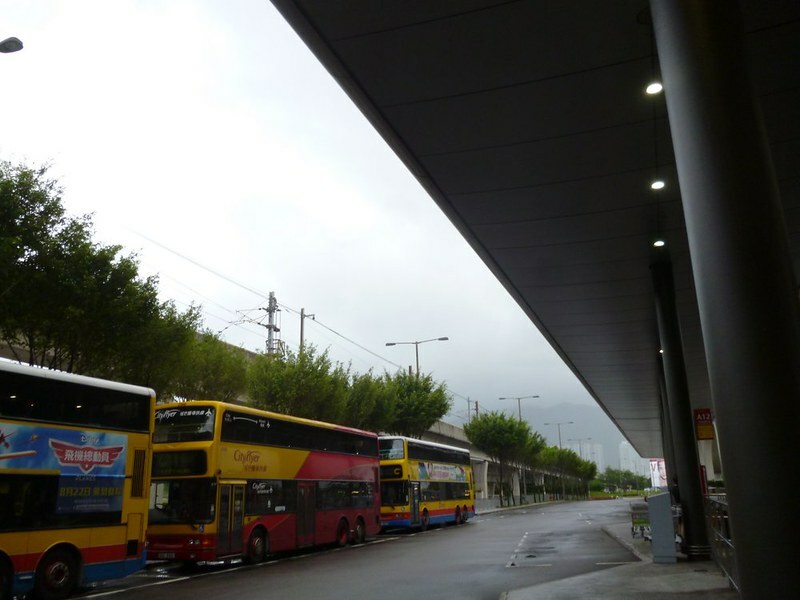 Unfortunately, due to the typhoon, no buses on my route was going. I didn’t know about the no-bus thing and was waiting at the bus stop. Then a taxi man told me about the situation and proposed driving me to Hong Kong Island for about HK$200. I told him that I was on a budget and would prefer taking the train instead. The Airport Express into Hong Kong island was HK$100. 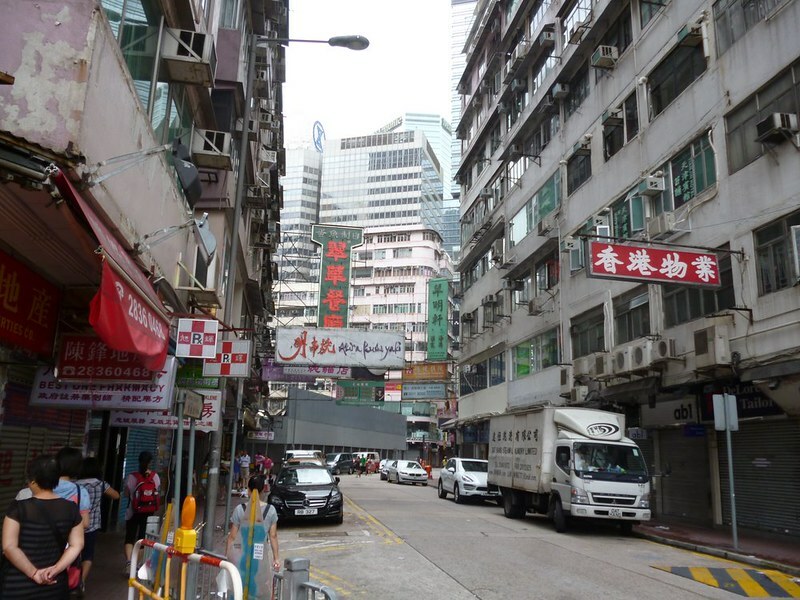 I paid and extra HK$5 to get to Causeway Bay where my hostel is. There was eerily few people out in the streets when I got there at about 8:30am. At check-in, I was told to wait a while for the room to be prepared. I waited a long while and had to ask again for my bed before I was shown to my room. My hostel is fortunately not in the Chungking Mansion area. Still, it wasn’t a proper hostel area. Several units in the residential building were turned into tiny rooms/storage space packed to the brim with beds. When the hostel person and I got into my room, one of the girls on the top bunk woke up and screamed. She only saw the man and didn’t see me. I would scream too when a strange Chinese man comes into my room while I was sleeping. 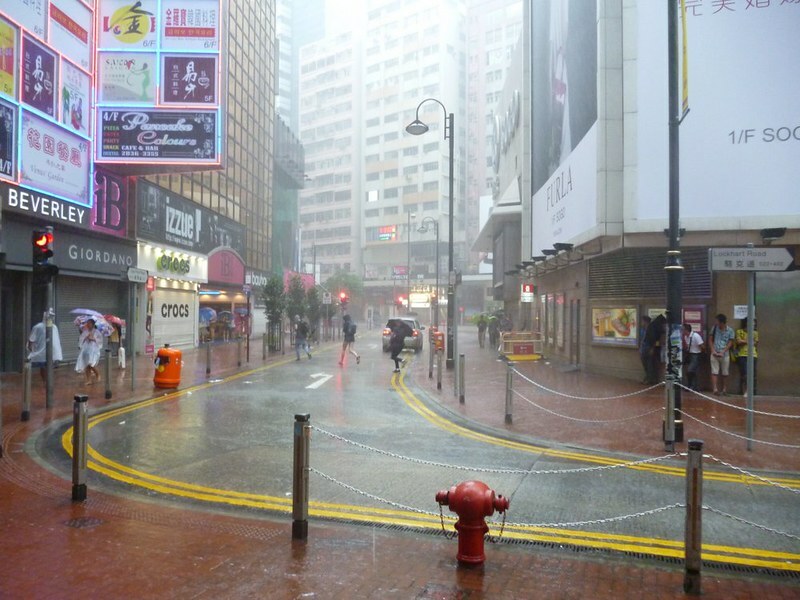 After a shower, I head out into the streets for some food and to see what happens on Typhoon Day. 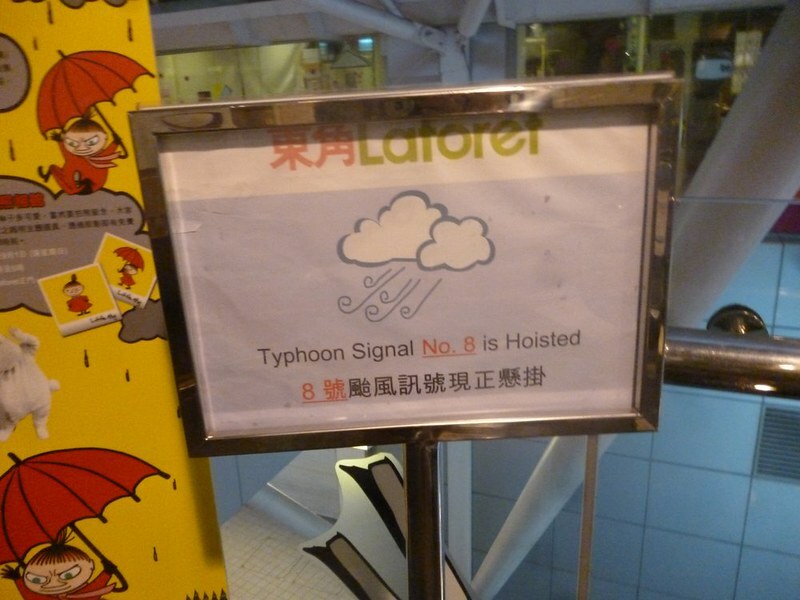 What is a hoisted typhoon? Well, nothing much happens on Typhoon Day. 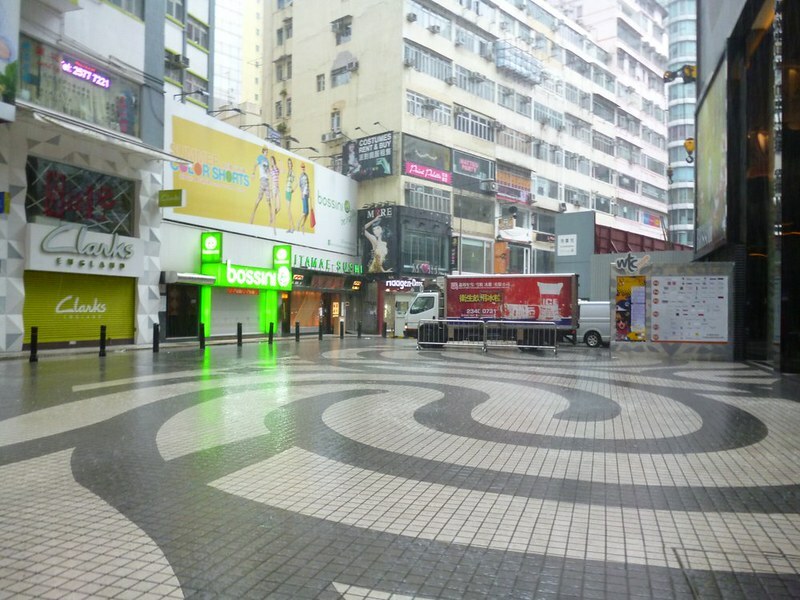 Only about 2 percent of shops were open. 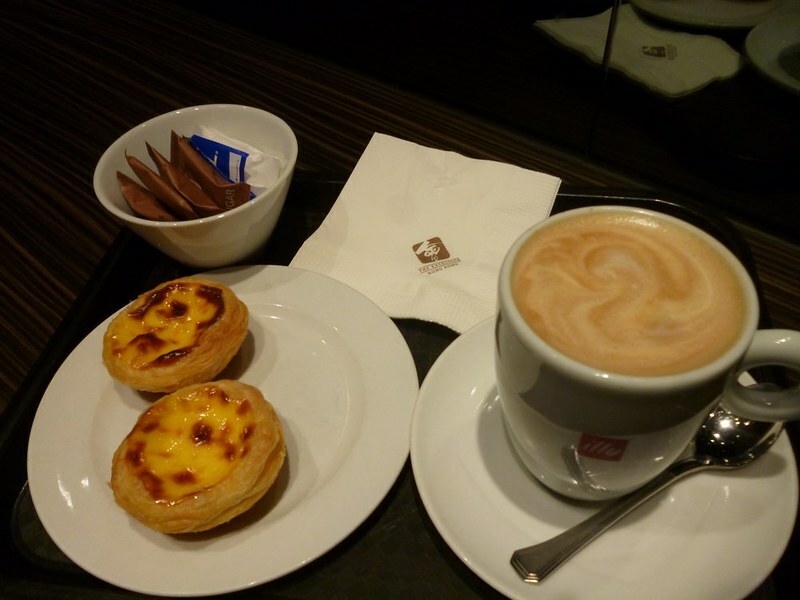 I ended up eating egg tarts for breakfast at a posh hotel. The Portugese/Macanese egg tarts were so good. Lunch was a very expensive takeaway from the supermarket. HK$290 for rice, a bit of chicken, roasted meat and one half of a salted egg. I explored the empty streets with an umbrella before I got the takeaway and went back to the hostel. The wind was pretty strong and the rain was heavy. Almost everyone on the streets were tourists, specifically Mainland Chinese tourists. I think we’re the only fools going out into the typhoon. After I had my lunch, it was about 1pm. My head was aching from jet lag and I decided to take a nap. My nap turned out into a 5-hour sleepathon. I’m awake now and typing but I think I might go back to bed after I send this off to you. Until tomorrow! Let’s hope the typhoon goes away and I can have some real food. Oh, I also need to figure out where I’ll be sleeping tomorrow because my bed has been booked up.